With around 3.8 million apps being available to Android users and upwards of 2 million on the Apple App Store according to a most recent statistic, you don’t want your app getting lost in this Amazonian-sized jungle without a map. According to CB Insights, in their post-mortem on the death of 253 startups, 14% of the startups went under due to failing to find their target audience. Fortunately, there is a way to successfully navigate this jungle and it starts by finding your apps target market. If your app is an aggregated list of equestrian services based on location, it’s probably safe to assume that your target market is heavily concentrated in the Midwest and not in Midtown, NYC. Perhaps I should’ve called this one “common-sense”; but common-sense is a loose term and definition seems to vary from person to person. So, ask yourself. 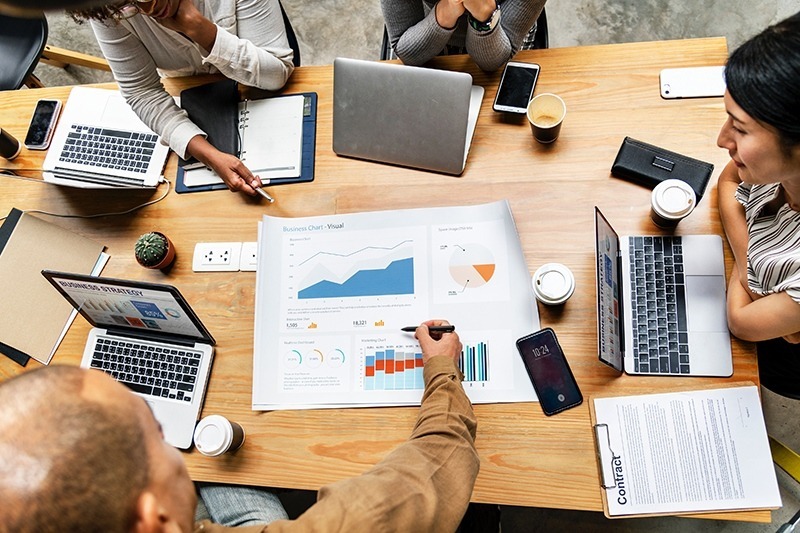 The business space is filled with market research services that promise to dig up priceless information and act like a matchmaking service between your app and its target audience. However, this comes at a price, a weighty one at that. If you’re a large enterprise, go ahead, make it rain, by all means; but if your still a slim startup looking to put on weight, such costs are out of the question. On Statista you can find loads of handy data on app usage per industry. This will provide you with a scope of your potential market. Google Adwords and Trends will provide you with an overview of what’s hot and what’s not in terms of search history. If you realize that interest in your topic is fading over-time, either you come up with a sensible answer to why that is. Worst case, you’ll have to ditch the idea, but it’s better to recognize reality at this stage than one week before launch. Another great way to seek out market insights is simply read the questions that your potential users have been asking. Forums like Quora and Reddit reveal what’s on people’s mind and respective answers will contain insights you can work off of. Build an MVP (Most Viable Product) version of your app, with a few key features and gather user feedback from your relevant communities. Google search will reveal various user communities—e.g. Early Bird, Pre Apps, and Launchsky. Let these testers break you down. You may get offended, be prepared to get hurt; in the long run, you’ll be thanking these early criticizers as it will only make your app stronger. Competitive research is about dissecting your competition to their strengths and weaknesses. Building an app that’s already on the App Store is like being on a road to nowhere. A Unique Value Proposition (UVP) explains how your product solves problems and benefits the user; it needs to convince customers to choose your product over the competition. It’s imperative to constantly be on the lookout for innovative ways to learn from your competitor’s tactics and employ that information to grow your own business. How are the competitors funding/budgeting like on the products they own? What resources does this company have? What milestones have they been able to achieve by having these resources? What are the companies key assets? For example, website, user communities, social pages. What geos are they commanding in terms of installs and retention? What rates of retention and engagement do they have? What monetization strategies do they employ, or have employed in the past? Browse through your competitor’s website; search their name in Google. What kind of coverage have they received? Keep these particular publications and bloggers in mind; when the time comes for you to market, they may be interested in writing about your app. What types of content do they post: Case studies, research, blog posts? Have they been publishing guest posts? It’s crucial to know how competitors are using social media to promote this content. Look at their Facebook page, their Twitter feed. What is the strategy they are pursuing on these social media giants? Based on the information you’ve gathered from the previous step it would now be wise to perform a SWOT Analysis. 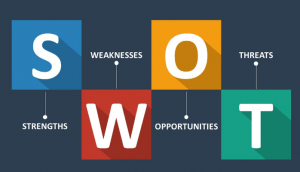 SWOT is a framework that evaluates the competitions competitive position by identifying strengths, weaknesses, opportunities, and threats. What key advantages do other applications possess? What features separate the strongest of the competition from the weakest? Personally, what was your favorite aspect of the app? What features, in your eyes, do you believe they lacked? Is there in a trend in the market your competition hasn’t jumped on yet? How can you build off their shortcomings? What negative feedback have your competitors received? Are there emerging technologies ready to put them out of business? Successfully finding your people and disassembling your competition will provide you the confidence necessary in order to progress your idea. Upon researching the market and competition you may discover holes in your idea. Once you’ve patched everything up, you may step back and realize that your idea is unrecognizable from its conception; this is ok, this is natural. So many ideas have skipped over this stage in a rush to get into development. And where are they now? What have they become? A CB Insight statistic no doubt. Don’t become another statistic. Do your homework. You’ve come up with the most brilliant, original idea for an app, and you’ve decided on your target market – now it’s time to start designing, right? Wrong.